SEOUL, Dec. 27 (Yonhap) — K-pop girl band Apink will drop its eighth extended play early next month, their first release since this summer, its management agency said Thursday. 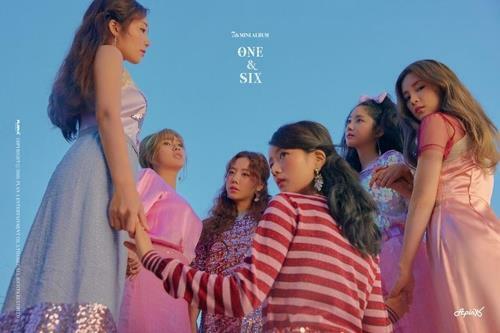 The new release, “PERCENT,” is a six-track record, fronted by the lead track, “%%.” Apink will premiere the new music at a concert to be held in Seoul from Jan. 5-6, Plan A Entertainment said. Team leader Park Cho-rong wrote the lyrics for “Enough,” the fifth track of the album, the agency noted.